Steven Seagal (left) is expected to attend the AIFFA 2019 that will be held in Malaysia. Filipino films such as ML (upper right frame) and Signal Rock (lower right frame) are among the films shortlisted for the Malaysian film fest. 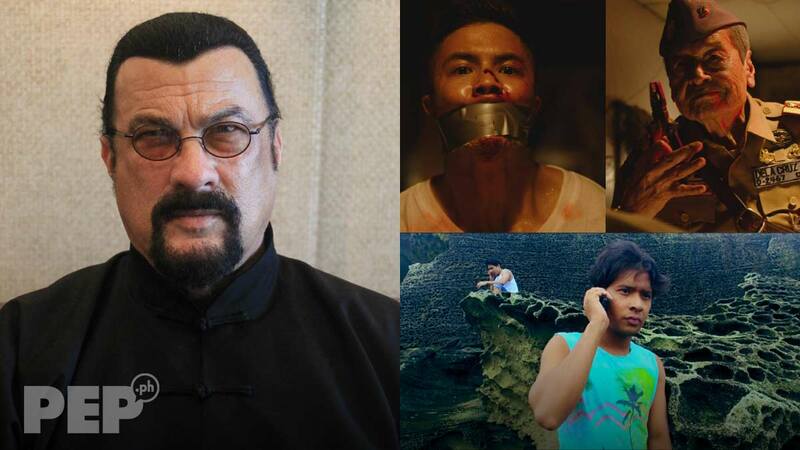 Hollywood actor Steven Seagal will grace the 2019 ASEAN International Film Festival and Awards (AIFFA) that will take place in Malaysia. The action star is the special guest in the AIFFA, which is a biennial competition for filmmakers from the 10 ASEAN countries. Eight films from the Philippines were shortlisted for the said film fest. The list was released earlier today (April 8) via the AIFFA 2019 app. AIFFA 2019 will be held from April 25-27 in Kuching, Sarawak, Malaysia. Now on its fourth edition, AIFFA offers awards in 17 categories covering all major aspects of the creative and technical areas of filmmaking. It culminates in a three-day event in Kuching and is attended by filmmakers from all over the world. Screenings of the films will be screened for free at the Old Courthouse Auditorium. AIFFA is being participated in by the 10 ASEAN countries namely Malaysia, Indonesia, Singapore, Thailand, Cambodia, Myanmar, Vietnam, Laos, Brunei, and the Philippines.